PHP and MYSQL are popular open-source technologies that are ideal for quickly developing database-driven Web applications. PHP is a powerful scripting language designed to enable developers to create highly featured Web applications quickly and MySQL is a fast, reliable data-base that integrates well with PHP and is suited for dynamic Internet-based applications. 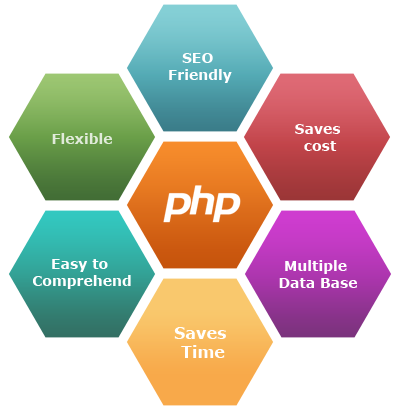 PHP is a scripting language with a unique ability to embed itself in the HTML code. MySQL is a popular database and the combination works well for all kind of web applications, such as online shopping carts, content management systems, e-commerce applications etc. This combination is competent enough to build solutions like content management systems, shopping cart solutions, eCommerce website, emailing services, web forums etc. Require more information about how we can full-fill your PHP / MySQL Application Development requirements, please feel free to contact us.